Every year I attend the Middlesex County Chamber of Commerce breakfast to honor military veterans. 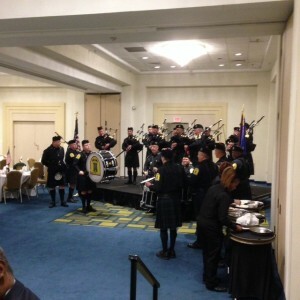 This morning we began the event with bagpipes from a Middletown group, and we ended with taps. There were hundreds in attendance, many wearing insignia for the branch of the armed forces in which they served, or the VFW post with which they are now affiliated. Some Wesleyan students were in attendance, including members of our Posse group. 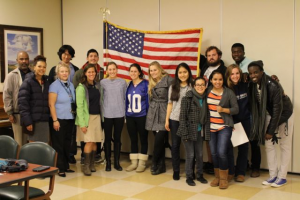 Tuesday, November 11 is Veteran’s Day. I ask you to take a moment to reflect on the sacrifices of those who’ve put on the uniform and of their families. The Middletown Council of Veterans and City of Middletown invite everyone to come together on the northern edge of campus, on Veteran’s Green just off Washington Street at 11:00am where a Veterans Day Ceremony will take place. Veteran’s Day is celebrated in many countries in the West as Armistice Day, marking the end of the brutal fighting of World War I. So this is also a day to think about peace, how we achieve it, preserve it, and whose responsibility it is to defend it. Veterans often think very seriously about peace, and also about healing. It’s the healing part that is at the core of Rev. 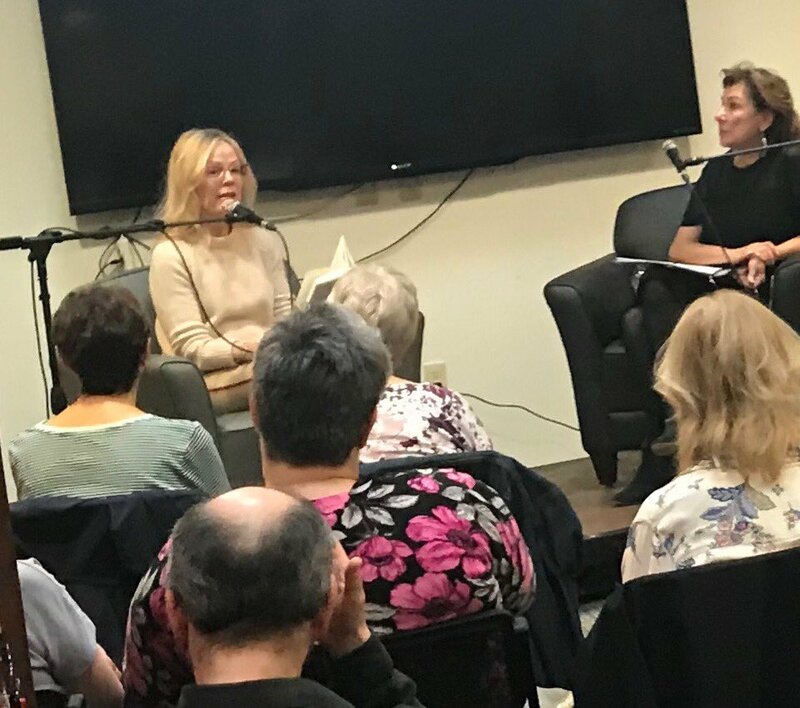 Tracy Mehr-Muska’s efforts to bring a broad spectrum of the Wesleyan Interfaith student group to the Veteran’s Home retirement community in Rocky Hill. 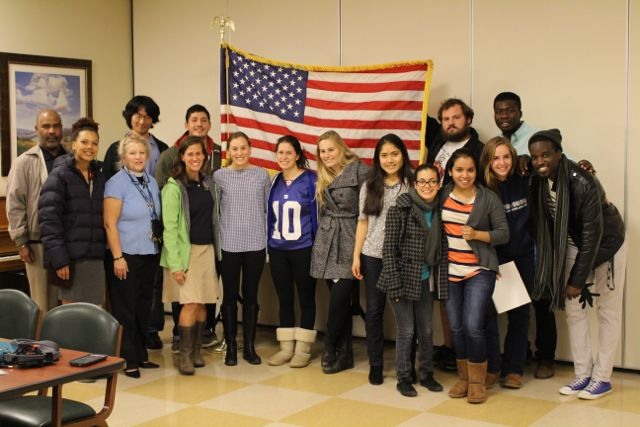 Here’s a photo of a recent visit, with two members of our Posse Group holding the flag.